New nanos, shuffles and a touchscreen video iPod are coming. Apparently. Ahead of Apple's scheduled media event this Wednesday (5 September), Digitimes has shed some light on Apple's potential iPod, iPod nano and iPod shuffle launches. 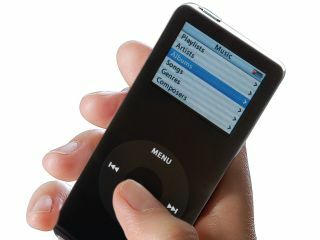 "The new iPod video," says the Digitimes article, will have a "wide-screen panel, high storage capacity and Wi-Fi connectivity". It also cites Taiwanese manufacturing sources who suggest that "the new iPod video is expected to be powered by NAND flash, instead of a hard disk drive." Pictures of what could be the next iPod nano were leaked onto Digg over the weekend. The Apple launch on 5 September is also rumoured to unveil touchscreen iTunes Kiosks (for shops, airports, etc) and an announcement about ringtones for the iPhone. Until Steve Jobs himself confirms all this information, however, take everything with the usual pinch of salt.